這是個畫面精美的卡牌遊戲 , 容易上癮,免費交換卡牌的遊戲 , 讓您可以與世界上真實的玩家一起在各種不同的任務與挑戰中冒險 . 在美國最賣座的遊戲排行榜上 ,破紀錄的維持6個月的第一名 , 全世界超過6百萬人次的下載 , 以及超過 2萬個 5星的評價 . 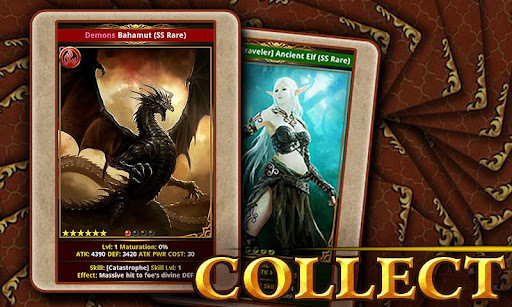 Highly addictive, FREE trading card game (TCG) that lets you battle REAL players in countless quests and adventures. Record breaking #1 Top Grossing app in the US for six months! Over 3 million downloads worldwide and over 20,000 ★★★★★ reviews. ★Hundreds of stunning cards to collect with more cards constantly being added. 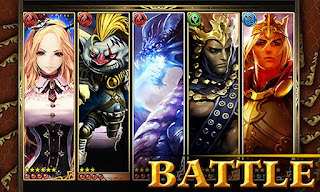 ★Fast & easy battles on the go with stunning and alluring Anime characters. 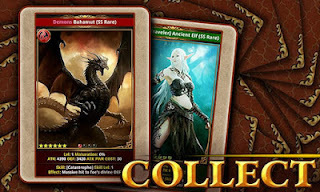 ★Daily updates to continue to expand your card deck. ★Live multiplayer action with an endless army of battle hungry foes. ★Quests and frequent events to claim your place in Rage of Bahamut history. Connect with other players on Facebook at http://facebook.com/mobage. 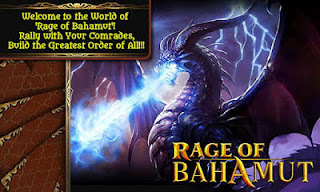 Rage of Bahamut is powered by Mobage: the best, free, social game network.